Despite NYC’s high-quality, safe tap water, 1 in 4 New Yorkers drinks at least one sugary beverage per day. Through the Partnership for a Healthier NYC, SIPCW created a Staten Island awareness campaign to promote water as a healthy, affordable, and environmentally friendly beverage option. 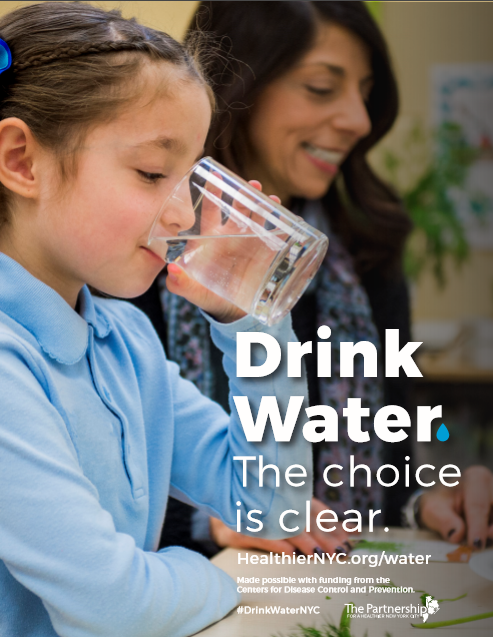 The posters, “Drink Water: the Choice is Clear”, can be found on Staten Island bus shelters, in promotional materials, and at various events. Read the Staten Island Advance’s coverage of this program. Working with City Harvest, SIPCW helped host the My Plate Food Challenge. Eight local food establishments agreed to create plates using the USDA’s My Plate proportions: half vegetables or fruit, one-quarter starch, and one-quarter protein. Customers judged the plates while learning more about what a healthy plate looks like across various ethnicities. 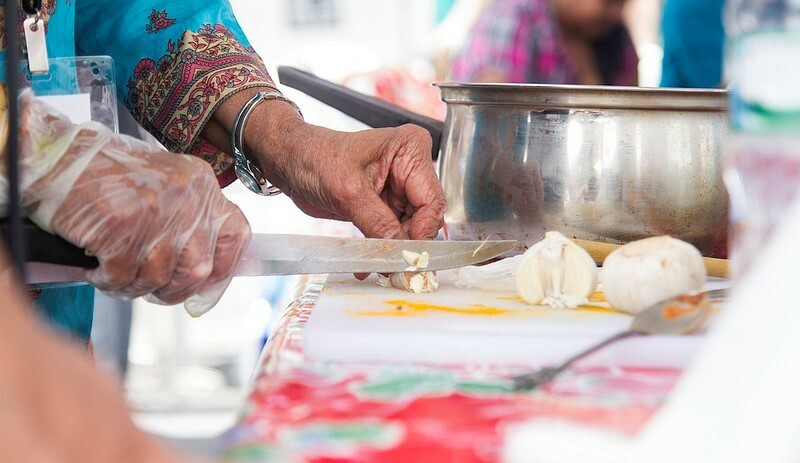 Through Partnership for a Healthier Staten Island, SIPCW aims to improve the health of Staten Islanders and reduce the prevalence of chronic disease. SIPCW organizes and leads this borough-wide coalition of community partners to implement evidence-based and innovative health promotion strategies.